Vogue Tex (Pvt) Ltd. began operations in the apparel manufacturing industry in Sri Lanka in 1991, with a single factory based in the beautiful coastal town of Kosgoda. Over the years, while consistently refining our manufacturing expertise and processes, we have gradually increased our production capacity to 7 production units which are globally certified. Employing a workforce of over 7,500 employees, Vogue Tex provides a range of services through the European office in Germany and its Sri Lankan based operations. With our set-up we serve customers both in the US and European markets. Constantly investing in both new technology and our people, we have always found a way to adapt quickly to the ever changing needs of the apparel industry. This is seen in the manufacturing process itself, our design input, sourcing of the right materials, and the management of multi kind orders and our customer relationships. The German-Sri Lankan partnership that we have built over several decades gives us a unique market position. This collaboration has allowed us to combine the most effective and efficient work elements from each distinct system. Our core strengths as an apparel manufacturer, in addition to the list of specialized services we provide, are the the loyal relationships we cultivate with our customers and the continuous investments we make in our employees. It is a matter of great pride for Vogue Tex that our first customer is still with us today. To be the leader in providing total solutions for supplying fashion clothing of excellence from Asia. To build a result oriented, profitable organisation that designs, manufactures and markets, quality fashion products, which best meet the needs of our customers now and in the future. Mr.Mendis believes that it is the scale and vastness of the apparel manufacturing business that first prompted him to enter the industry. He puts forth an interesting view that clothing represents one of three basic requirements of any consumer, the others being food and shelter. As a result of the need for clothing being a fundamental one, he feels that a massive marketplace exists for an enterprise to operate within. The vast boundaries of the industry give Vogue Tex immense room to differentiate its product and service, position itself, and to assert its dominance as a forerunner in manufacturing smaller order quantities with a higher degree of complexity for the upper segments of the apparel market. 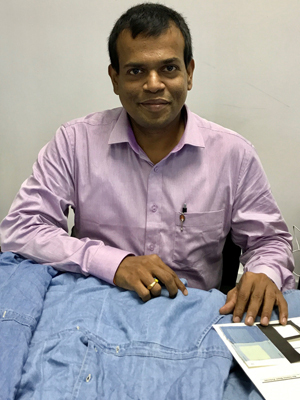 As one of our Directors, Mr.Mendis is motivated by the need for a stronger human element in the manufacture of a non-standard product such as fashion apparel, as it presents only limited automation possibilities. This is an interesting challenge, he feels, as it demands that we enable our employees to develop a higher degree of skills, firstly. This will reduce the potential for human error. Secondly, it requires that we draw the best possible employees from what is a highly competitive labour market and then retain them through concrete methods of motivation. A mutually beneficial relationship, thus formed, is what will bring about greater dividends for both the employee and the company. 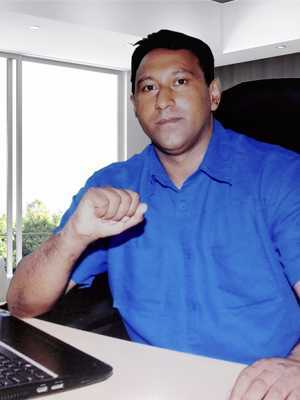 This is closely aligned with Mr.Mendis’ mission statement, which is to develop and expand the organization in a sustainable manner in order to ensure that all the stakeholders involved will benefit from its success. 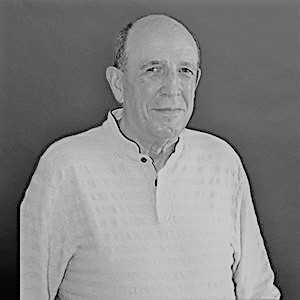 Mr. Schirra, first moved to Sri Lanka in 1984 and began his career in the apparel manufacturing industry as a technical production manager. 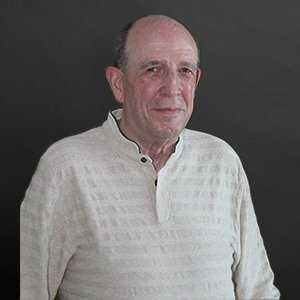 Mr. Schirra, first moved to Sri Lanka in 1984 and began his career in the apparel manufacturing industry as a technical production manager. 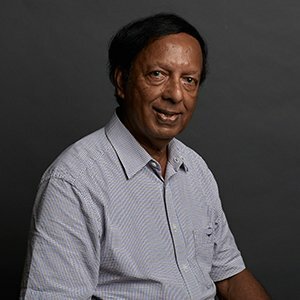 His diploma in textile engineering, along with the 7 years he spent working in the Sri Lankan manufacturing industry, gave him the confidence to begin his own operation, Vogue Tex, in 1991. Keeping faith in his ability to nurture youth, he encouraged the company to employ students who had just finished university. He would encourage them to learn and adapt quickly to the challenges of the manufacturing industry. Mr Schirra is the driving force behind the adoption of innovative technology into the Vogue Tex process to ensure consistent quality and improved lead times. His personal success is built on a foundation of patience and persistence coupled together with integrity and the power of interpersonal relationships. Mr. Stephen began his professional career in the apparel manufacturing industry in his late teenage years in the finance department…. Mr. Stephen began his professional career in the apparel manufacturing industry in his late teenage years in the finance department. Over the years, the dynamic nature of the industry has constantly challenged and pushed him to advance both his knowledge and expertise in the finance field and other areas such as logistics, merchandising, marketing, planning, execution and administration. In doing so, he is able to help Vogue Tex ensure smooth management of its operations to meet the challenges of the retail industry today. With expertise in the areas mentioned above, Mr. Stephen takes pride in Vogue Tex’s ability to offer the latest fashion styles to our customers at the most competitive prices. Along with the management team and the team members of Vogue Tex, Mr. Stephen is working towards realising the company goal of becoming a 100 million dollar business in the next two years with a target of a year on year growth of 20%, thereafter. Having started his career in the early 1990s in his family’s business, Mr. Schulte had the opportunity to experience the fashion ..
Having started his career in the early 1990s in his family’s business, Mr. Schulte had the opportunity to experience the fashion industry from different angles. For over 10 years he was managing his own wholesale business, providing collections for customers all over Europe. In 2003 an opportunity to partner with a manufacturing supplier directly was made available to him and he seized the occasion to become an integral team member at Vogue Tex. The very unique handwriting of Vogue Tex, with regards to their quality at needlepoint and professional level of service is his source of motivation. 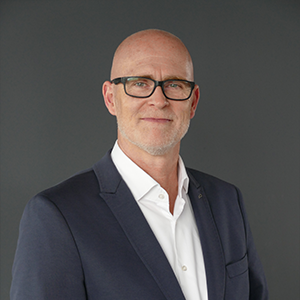 Mr. Schulte enjoys the challenges of managing new ideas, connecting trends, shapes, prints, trims, technical details and merge it into innovative fashion solutions for our customers. Being creative, concrete and focused is for him one major precondition to work in the fashion industry. At the same he strictly applies the premise that customers come first – always going that extra mile. 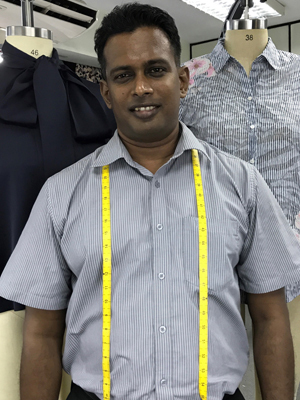 Mr. Nuwan began his career in the apparel manufacturing industry straight after graduating from university. 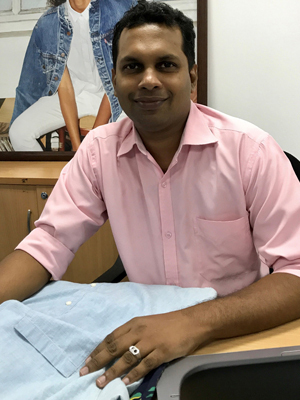 He saw at a very early..
Mr. Nuwan began his career in the apparel manufacturing industry straight after graduating from university. He saw at a very early stage that there were immense opportunities and felt that he could contribute to the industry as whole. Understanding the need to constantly improve, to meet the ever changing demands of the retail industry, he saw the need for more technical expertise in the manufacturing process. Today the challenges of shorter lead times, elaborate designs, delicate fabrics and complicated detailing means that the systems need to evolve to ensure the consistency and feasibility of the product. This is only achievable through constant education, training and development along with the investment in new technology, and these are the underlying success at Vogue Tex. Our greatest strength, we firmly believe, is the synergistic effect of the various ideas and skills brought together by our employees. Our sum is greater than our parts. Manthi’s job commences at the sampling stage in the development process. She feels that productive stress is an ever present component of her role as a Merchandiser. Her responsibilities include, the preparation of tech-packs for buyers, sourcing materials for designs, costing, and other key merchandising-related activities. 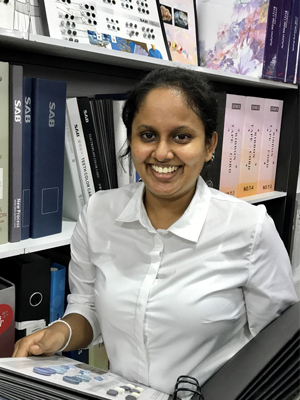 Manthi is currently in charge of sample development for Marks and Spencer and she enjoys the freedom that she has been given to communicate and liaise closely with the customer’s team. A highly dynamic customer, Marks and Spencer presents many interesting challenges in the way of new fashion items and modern styles which Manthi gleefully handles while utilizing her own brand of positivity. She is known for always bearing a smile on her face. ‘Nothing is impossible’, she feels. Movies are her go-to therapy when she has free time. Manthi firmly believes that Vogue Tex enjoys one of the lowest turnover rates in the industry, due to the respectful yet friendly attitude with which their employees are treated. Having first joined as an intern in 2011, she feels that she has learned everything she knows about the trade during her 6 years with Vogue Tex thus far. 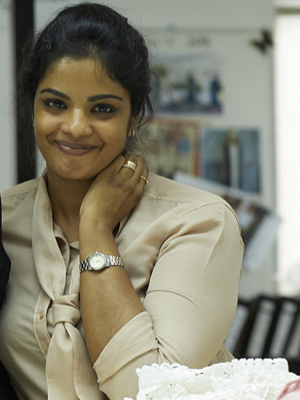 Product development is primarily what Randika handles as the Assistant Manager of Merchandising. A motivational speaker is his deep inside and it is a future aspiration of his. He manages several teams responsible for multiple customers: Eddie Bauer, Haggar, Levis and Dockers. He motivates and uplifts his teams with his motto of ‘It is possible’. Tasked with many responsibilities such as sampling, costing, testing, fabric development and trim development, from the concept stage itself, Randika has to oversee the development of the product until it is handed over to the bulk production team. His job is made easier though he says, as a result of how well the employees are cared for at Vogue Tex. It allows him to coordinate with other teams freely due to the family-like culture which prevails here. With over 8 years of experience at Vogue Tex, Randika is deeply appreciative of how they have taken a personal interest in his growth and invested in his personal development. Iesha, in her role as Designer of Vogue Tex is the epitome of humility and grace. Whatever the buyer’s requirement is in terms of design, she handles it expertly. She is responsible for product development too. Iesha coordinates closely with various buyers for design ideas and inspiration that they initiate as well as presenting to them those conceived in-house at Vogue Tex. Developing and presenting mood boards to customers is one of her favourite parts of the job. The world of fashion is extremely fast paced, she feels, and brands adapt quickly and change styles constantly, so the designers too have to keep up with such advancements. She enjoys this challenge she stated. Gardening at home is something that helps her unwind. Having joined as a management trainee in 2009, she is of the view that her tenure of 8 years so far can be attributed to the level of comfort between top management and the employees. Also, Iesha prefers designing casual wear, so she feels right at home within the Vogue Tex family and the accounts she design for. 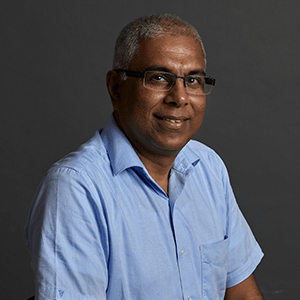 Arul’s background in Chemistry is crucial to the work that he does – a scientist at heart and in profession! 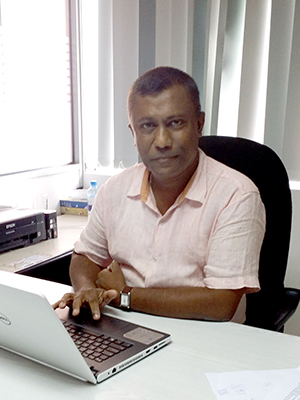 As the Head of Fabric & Wet Processing, Arul plays a pivotal role within the Vogue Tex setup. His area of expertise involves the washing and dying of the denim fabrics. He works directly with our partners such as Levis. His calm demeanour would not show it, but Arul is highly proficient in several South Indian musical instruments including the tabla. He was a budding Under-17 cricketer in his youth and still plays the sport when he can find some free time. He highly values the independence he is afforded when going about his work at Vogue Tex. He cites this as one of the main reasons for the vast experience and knowledge that he has gained during his year and a half with the company so far. Having first joined Vogue Tex in 2003, Niraj firmly believes that he has remained with the company for 14 long years due to the investments they have made in his career and personal growth. As the Group Financial Accountant, Niraj is responsible for handling the financial monthly and annual reports of the different divisions. Finance is his area of expertise, but he has cultivated a deep passion for marketing over the years. His general role includes maintaining accounting standards and the preparation of accurate and insightful information that the managers can base important financial decisions on. Niraj is also in charge of coordinating the annual audit requirements for our external auditors. He balances the various tasks allotted to him with his attitude of ‘when the going gets tough, the tough get going’. He likes to spend his time at home by relaxing with his family. 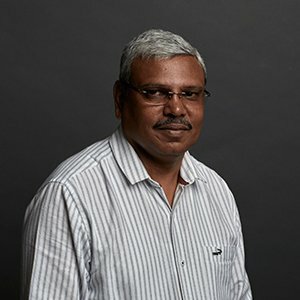 Niraj states that he has grown immensely with Vogue Tex in his tenure of fourteen years so far and that he has learned many concrete valuable skills along the way. With a background in logistics, Thushari’s primary task involves the handling of the export arm. As a Senior Documentation Executive, she is responsible for arranging bookings for each buyer, export shipments, weekly planning with the merchandising team, coordinating deadlines with factories, and a whole host of other logistics-related activities. Her prior experience at a freight forwarding company helps her deal with them patiently. It certainly is a virtue she feels. Thushari enjoys spending time with her family. The pleasant working environment and the family-like bonds at Vogue Tex, she feels, are the main reasons for the company’s success. It is why she is comfortable in her role here. Her attitude in life is that we have to help others. Thushari practices this belief actively both personally and at work. She first joined Vogue Tex in 2011 and is of the view that she has learned immensely during the past 6 years. Malinda is a Quality Executive with almost 10 years under his belt at Vogue Tex. A man of few words, he prefers to get on with the job. This involves the checking of quality during the sample stage by comparing it with what is within the style file. His job requires him to liaise with the factory regarding samples. He handles clients such as Gerry Webber, Bonita and Hallhuber. Malinda’s ideal way to spend some quality time involves relaxing at home. He used to play cricket quite seriously during his school-days. He wishes to lead a simple life while talking directly and to the point. Vogue Tex allows him to do just this and be himself, he says. Malinda is of the view that it is the sense of fairness that the company displays and the openness between departments which has led to its success and made him feel comfortable yet driven for almost a decade. A veteran of the company, Chandana is now the General Manager of Vogue Tex’s factory in Koggala. A position he has held since 2013, he relishes the many responsibilities of the job and considers it a challenge. His main task is to ensure that all the resources available are utilised effectively and efficiently in order to make the Koggala factory a profitable one. 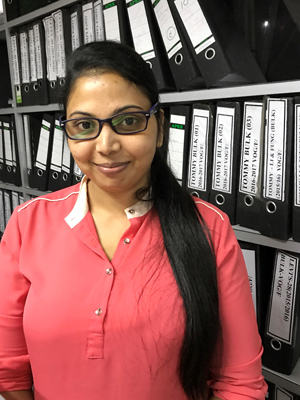 Chandana’s motto involves wanting to execute each job perfectly and remaining honest and transparent at all times at all levels. A cricketer since his schooldays, he plays the sport even now when he gets a bit of free time. He enjoys walking and spending time with his friends. Having first joined Vogue Tex in 2001 as a trainee production engineer, he is appreciative of the many opportunities the company has afforded him and all its other employees too. 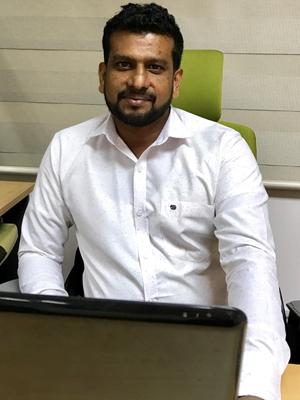 In his current role as the GM of the Koggala factory, Chandana feels that it is these consistent and concrete opportunities that enabled him to progress up the ranks steadily. Also, he is of the view that Vogue Tex investing heavily in his career so far by sponsoring technical and professional qualifications has allowed him to serve the company better. He is especially fond of how top management treats everyone equally and respectfully. This he feels is what has motivated him to spend 16 long and happy years with Vogue Tex. A stalwart employee of the Vogue Tex setup, Iresh has served the company for 22 years so far. He commenced his stint in 1995 as a work-study manager and gradually worked his way up to his current designation of General Manager Product Development. He voices firmly that his rise through the various positions was enabled by the solid support and technical training opportunities he received from the company at various points during his career. Iresh is responsible for overlooking each aspect of the development of a designer’s idea or sketch through to a tangible product that can be presented to a customer. He says that product development involves the gradual creation progression from imagination to a physical sample. His challenge often is to come up with a quality product that is cost-friendly and bulk production feasible yet is as close to the original design as possible. He overlooks pattern teams, technical teams, and quality teams, among a host of other specialised operations which are essential to see a piece from product development through to bulk production. A man who performs many roles, when it is time to relax he engages in his hobby of civil construction. Houses and moderately-sized buildings are his forte. His motto of doing everything in an ethical manner guides his personal and professional life. Above all else, Iresh believes that the customer needs to be satisfied. The significance of developing lasting relationships is very important to us as a business. We strive to work closely with our partners to ensure that our services help lay the foundation for a successful future together. This is embodied in the fact that our first customer is still with us today. We hold our partners in extremely high regard. While providing a full range of services to meet the requirements of our customers, we also develop and grow together with each new order and experience. The fact that our first customer, is still with us today is ample testimony to the respectful, loyal and dynamic work relationships that we have cultivated with our partners.